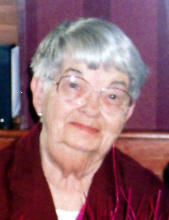 Nellie Margaret (Ingram) Fasnacht, age 83, went home to be with our Lord on March 31, 2019 at Mattoon Healthcare Center, with her family by her side. Nellie was born October 27, 1935 in Camargo, IL to Lyman and Ruby (Nichols) Ingram. She married Elbert Alvin Fasnacht on May 25, 1953 and they were married almost 66 years. Nellie was a woman who worked hard and always took great care of her family. She was a brave woman who traveled many places that as a small town Hindsboro girl, she never thought she could go to. She had a great love for animals, especially her dog, Trixie. She had a wonderful sense of humor and loved to laugh with her family and watch them grow. Those who knew her in her prime always knew that you could find her at the golf course if it was nice out. She will always be remembered for the love and support she has given to those who have loved her. She is survived by her loving husband: Elbert “Peanut” Fasnacht of Mattoon, IL; a daughter: Margaret “Peggy” Curry of Mattoon, IL; a son: Elbert “Bub” (Carolyn) Fasnacht II of Carbondale, IL; seven grandchildren: Patricia (Jonathan) McMinn, Jonny Matthews, Matthew Ameroso, Sarah Curry, Taylor Hill, Greg Fasnacht, Katy Fasnacht and Jack Fasnacht; and four beautiful great-grandchildren: Corban, Liam, Gavin and Adalyn Margaret McMinn. She was preceded in death by her parents and two brothers: Richard and Everett Ingram. Funeral services will be held on Friday, April 5, 2019 at 11:00 a.m. at Krabel Funeral Home in Oakland, IL. Visitation will be held for one hour prior to the service, beginning at 10:00 a.m. Burial will follow in Van Voorhis Cemetery. For those who wish, memorials may be made to the Coles County Animal Shelter. To send flowers or a remembrance gift to the family of Nellie M. Fasnacht, please visit our Tribute Store. "Email Address" would like to share the life celebration of Nellie M. Fasnacht. Click on the "link" to go to share a favorite memory or leave a condolence message for the family.